Baykeeper is working to prevent a dangerous new threat to San Francisco Bay—a tar sands oil spill. If spilled in the Bay, heavy tar sands oil would likely sink to the Bay's bottom, causing irreparable harm to the ecosystem. In a November workshop, Baykeeper helped bring together oil experts and spill responders to assess the dangers posed by heavy oils and brainstorm ways to prepare. The results of the workshop are being evaluated by the California Office of Spill Prevention and Recovery, the Coast Guard, and other agencies involved in oil spill response in the Bay Area and across the state. In the meantime, Baykeeper is opposing the push to import more heavy oils in the Bay Area. The Phillips 66 refinery in Rodeo wants to increase the number of oil tankers bringing crude oil, including tar sands oil, across the Bay to its facility from 59 to 135 tankers per year. Such a dramatic increase in tanker traffic would significantly raise the risk of a harmful spill in the Bay. Read more about how Baykeeper is working to protect the Bay from tar sands oil. You can help San Jose city leaders make the right decisions to reduce pollution in San Francisco Bay. On Tuesday, December 19, the San Jose City Council will discuss plans for implementing green infrastructure projects to reduce the city's runoff pollution to San Francisco Bay. Baykeeper is urging the City Council to invest in making San Jose and San Francisco Bay cleaner and healthier. In 2016, Baykeeper reached a landmark legal settlement that required the city of San Jose to clean up toxic runoff to the Bay. During the rainy season, accumulated trash, bacteria, and toxins on city streets flow into storm drains and then into creeks and the Bay. Because of this runoff, San Jose's rivers—the Guadalupe River and Coyote Creek—historically have had high levels of pollution, including bacteria. San Jose has agreed to implement green infrastructure projects to improve water quality. Green infrastructure uses soil, vegetation, and other natural elements to filter pollution and protect the environment. Green infrastructure reduces pollution, captures rainwater for use during future drought, provides flood protection, and increases public parks and open space. Although the city has committed to these green infrastructure projects, the city still needs to allocate funds. Please join us to demonstrate the community's support for infrastructure that makes San Jose and San Francisco Bay healthier. Email info@baykeeper.org if you're able to attend, and we'll provide more information and talking points. Read more about Baykeeper's landmark settlement with the city of San Jose. Every year, citizen scientists from around the country participate in the Christmas Bird Count hosted by the National Audubon Society. The results of this bird census provide critical population data for science and conservation. 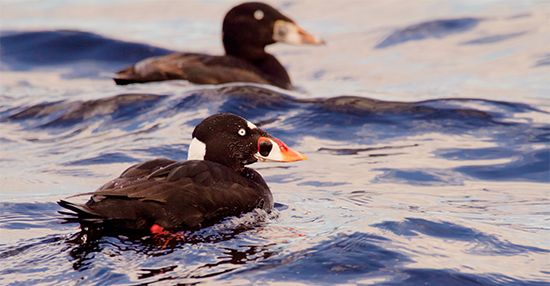 As our supporters know, San Francisco Bay provides a rich habitat for many bird species. Wildlife observers around the Bay and its tributaries often encounter pelicans, herons, sandpipers, egrets, hawks, surf scoters (pictured), pintails, and many other wonderful birds! This year, a number of local bird counts will take place between December 14, 2017, and January 5, 2018. Baykeeper skippers will tally birds on San Francisco Bay from the Baykeeper patrol boat on December 30. Follow this link to find a bird count near you! Photo by Nicole Beaulac, Flickr/CC. Surf scoters are a SF Bay wintering bird. We're so grateful for your support for all that Baykeeper has been able to accomplish over the past 12 months. Together we stood up against expanded oil tanker traffic on the Bay, said goodbye to the last ships of the toxic Ghost Fleet, mobilized volunteers to clean up trash at nine critical shoreline sites around the Bay, secured our 40th legal victory to keep toxic industrial heavy metals out of the Bay—and so much more! You can help continue this success in the coming year, by making a year-end gift to Baykeeper. And if you've already donated, thank you! If you're shopping for outdoor and sports gear for the holidays, sign up as a Sports Basement "Basementeer". A portion of every purchase you make goes to Baykeeper, and you get a 10% discount. Doing your holiday shopping on Amazon.com? Sign up for the Amazon Smile program and a portion of your purchase will be donated to Baykeeper, at no cost to you. Sign up online here. Are you a seasoned digital media professional looking to leverage your skills to support a worthy cause? Baykeeper is convening a one-year Technology Advisory Committee to help upgrade our online communication strategies in 2018. We are now accepting applications from volunteers with experience in digital communications, social media, marketing, and brand strategy. Once formed, the committee will meet in-person quarterly throughout 2018. Committee members will be asked to advise on ways to strengthen Baykeeper's website, social media channels, and broader online presence. 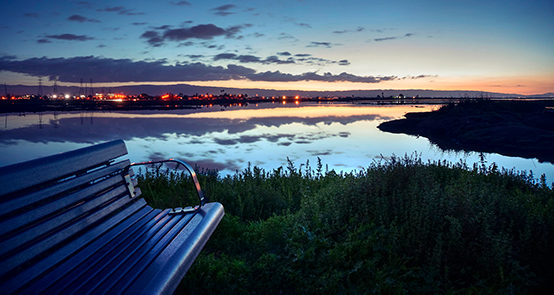 Your participation will be a great boost to our work to protect San Francisco Bay. To request an application, please email info@baykeeper.org. The submission deadline is December 31, 2017. Baykeeper is seeking an Event Assistant for spring and summer 2018. 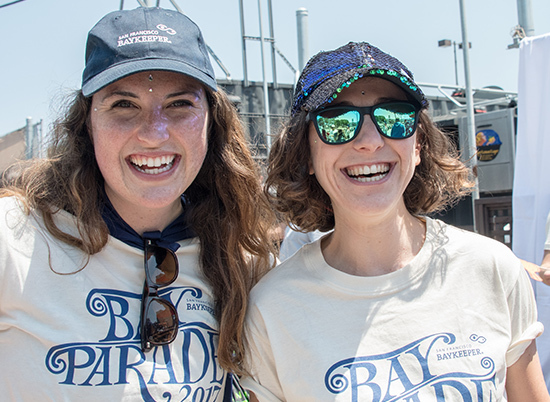 This part-time temporary position will be extensively involved in helping produce Baykeeper's annual dinner and our biggest event of the year, the Bay Parade, on July 15. The ideal candidate for this position has experience in event support and is excited to help Baykeeper put on top-quality events. The Event Assistant will also gain experience in marketing, database management, and nonprofit fundraising during their time with Baykeeper. This temporary position runs February to July. Click here to view the full position description and see how to apply. Estuary Trash: Baykeeper Executive Director Sejal Choksi-Chugh discovered a large raft of trash in the Oakland-Alameda Estuary a couple of weeks ago, just as two harbor seals were surfacing nearby. Sejal and our patrol volunteers pulled several large buckets of trash out of the Bay, making a healthier swimming area for the seals. Baykeeper is working with the city of Oakland and partner environmental groups to prevent trash from entering the estuary. 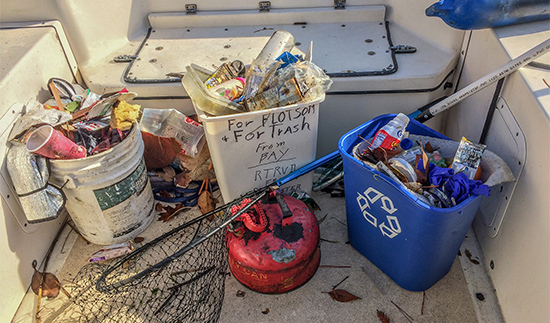 And when we're out on patrol, we keep buckets and long-handled nets handy to scoop trash out of the Bay and dispose of it properly. Everyone can pitch in—help keep Bay wildlife healthy by picking up trash you find while walking on the shoreline or boating on the Bay! Disruptive Dredging: Baykeeper volunteer skipper Fabio Ciulla was out on boat patrol when he spotted a dredger behaving oddly in Richardson Bay. Dredgers are a common sight on the Bay, since they are used to dig navigation channels for large ships. But this dredger was digging mud and then dropping it back in the water while moving quickly, possibly to propel the vessel forward. Baykeeper received a separate report from a supporter who was kayaking nearby about the same unusual dredging action. Churning up Bay sediment in this way is disruptive to the Bay ecosystem (dredgers are supposed to remain stationary when digging the Bay floor). Baykeeper is now following up with local agencies to further investigate and stop this disruptive dredging. 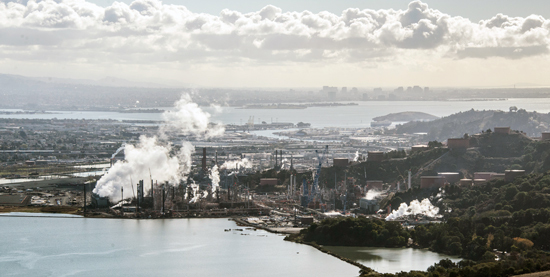 Refinery Monitoring: Baykeeper is working to curb expansion proposals at Bay Area oil refineries that would put the Bay at risk. We also regularly monitor and track activities and discharges from the five refineries that ring the Bay. Staff Attorney Ben Eichenberg recently conducted an on-the-water investigation of Phillips 66 in Rodeo (pictured below) to inspect the site of a proposed marine terminal expansion. 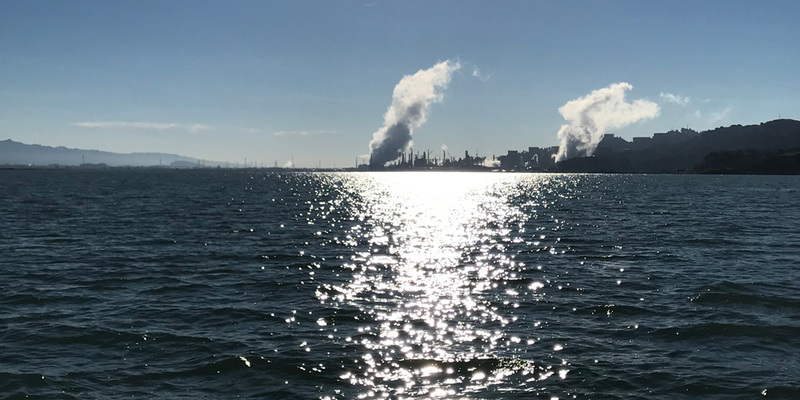 While on patrol, Ben also inspected the Valero refinery in Benicia, Tesoro and Shell in Martinez, the proposed Vallejo Marine Terminal project site, and the Mare Island Dry Dock.